ImmersaView recently attended Land Forces in Adelaide in partnership with Defence Industries Queensland to present our latest developments for simulation, training and After Action Review. The show was a success, with ImmersaView receiving a highly commended innovation award and meeting many new potential customers. Hon Dr. Anthony Lynham, Queensland’s Minister for State Development and Minister for Natural Resources and Mines with ImmersaView’s Managing Director Dr. Andy Boud. The High Commendation is bestowed entirely at the discretion of the Judges and reflects their high opinion and the degree of difficulty experienced in selecting a winner in this category. 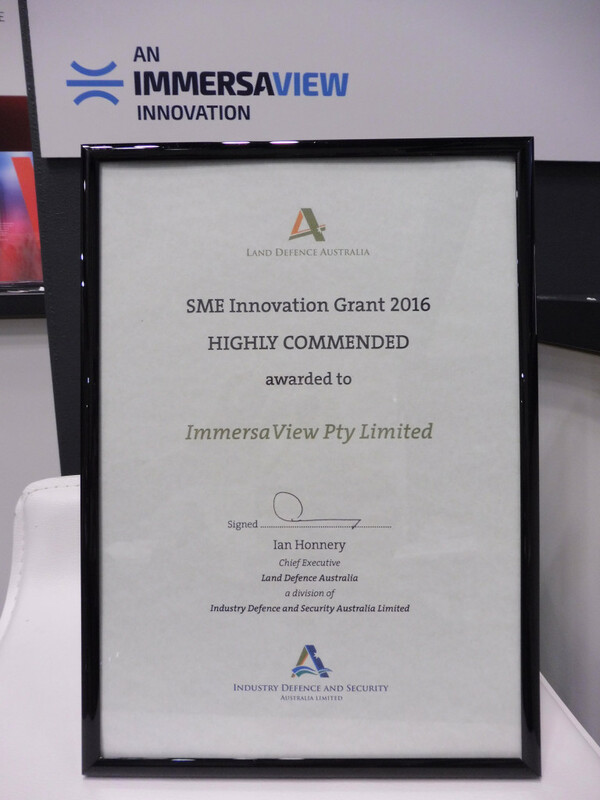 The judges recommended that ImmersaView be Highly Commended for its development of the VADAAR software framework. VADAAR is an acronym for Video, Audio, Data for After-Action Review. Historically, the technology employed for After Action Reviews has been tied to specific types of hardware – video cameras, for example, or radars – or written for one particular application, and therefore quite limited in the way they record events and share lessons. VADAAR has been design to capture everything in an exercise, whether it’s from a flight simulator, graphics application, video stream from cameras, or computer data streams, all in synchronisation. As military training become cross-platform, multi-player and much more complicated, it has become increasingly important to be able to work with all technology platforms in order to record everything that has happened and then analyse this data after the event. VADAAR is a complete software platform, designed for off-the-shelf PC and Network hardware, and it uses the Internet Protocol (IP) rather than dedicated cabling and ‘black boxes’ to link up the various components of the system. 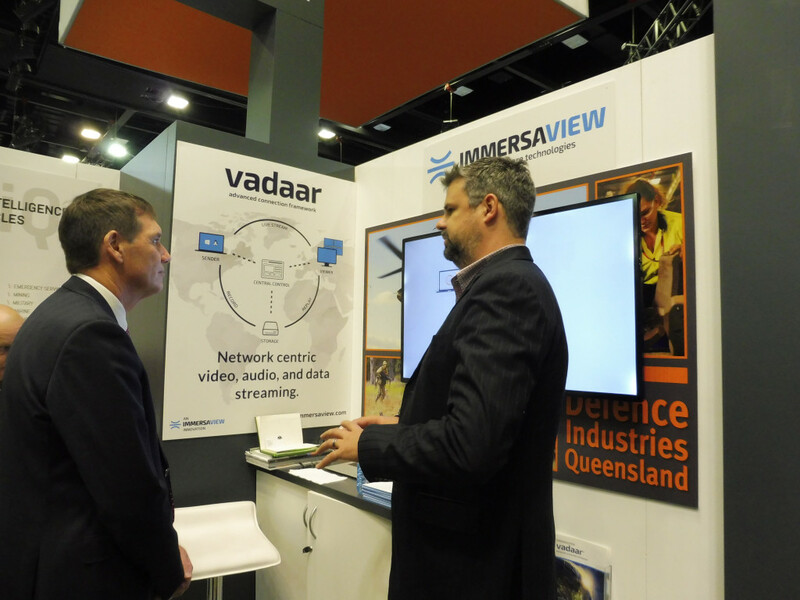 ImmersaView began development of VADAAR in Brisbane in 2010 and the system has been sold to Boeing, Thales and DST Group, and the company now has sales offices in the USA and the UK. An article was also written by Australia Defence Magazine on ImmersaView titled “ImmersaView playing the long distance LVC game”.